Nita Mishra has successfully defended her PhD Thesis at the Department of Food Business and Development in University College Cork. The title of the thesis is “Operationalising Rights-Based Approaches to Development: A Study of State and non-State Duty-Bearers in Odisha, India”. The study has dedicated three chapters on strategies, challenges, and learnings based on field-based examination of NGO activities. Of particular interest are strategies employed by NGOs to alleviate vulnerabilities ranging from abandoned children, displacement of marginal communities by monocrops, mining and big dams, and combating poverty resulting from annual floods and cyclones. The thesis then shows how state duty-bearers engage in rights-based approaches, and compares it with non-state practice. It develops indicators of a coalition between sectors and brings in new knowledge into how best sustainable development goals can be advanced using rights framework. Her research was granted the Strategic Research Fund Award by the UCC Vice President’s Office for crosscutting research in the areas of Poverty, Human Rights, Environment and Sustainable Development. Nita is a part-time Tutor and Occasional Lecturer on International Development at UCC. She has designed and delivered three lectures on Gender and Development, in the Masters in Development Program, Trinity College Dublin. She teaches papers on Rights-Based Approaches and Sustainable Development, Right to Food in India, Gender, Environment and Poverty, and Research Methodology in various universities across Ireland and India. Her career in academia includes teaching, researching, tutoring, publishing, organising seminars/ workshops/ conferences at national and international levels. Nita has extensive work experience with international organisations such as the Ford Foundation, Mac Arthur Foundation on program assistance, and with Department for International (DFID), International Labour Organisation (ILO), and NOVIB on specific policy-based consultancies. She has worked with semi-government, and non-government, organisations as lead researcher on various projects which had policy implications. Nita has widely published papers and book reviews in peer-review journals such as the Economic and Political Weekly, Down to Earth, Mainstream, Community Development Journal, European Journal of Development Research, Peace Works, amongst others. Her review of the Irish Hunger Task Force was published in the Trocaire Development Review and is listed as an important resource material for studies on hunger-related development policies. 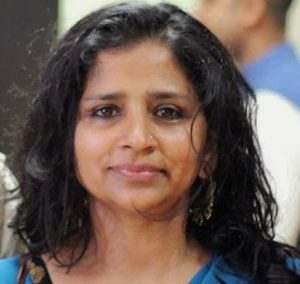 Her poetry transcends the different worlds of Ireland and India as a small- brown- migrant- woman in the white-man’s land and has been described as indicating the future of Irish feminism.